Usually petersite is a greenish color, but we came across some lustrous swirling brown petersite at the Tucson Gem Show and just had to get it. This pendant measures about 1" tall and is set in a clean, modern sterling silver design. 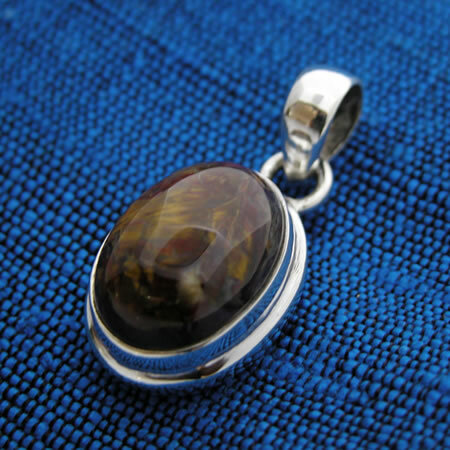 Petersite has an optical quality similar to Tiger Eye, but without the banding, so it has a more free-form opalescence when seen in the light. This pendant is handmade in India with .925 sterling silver.